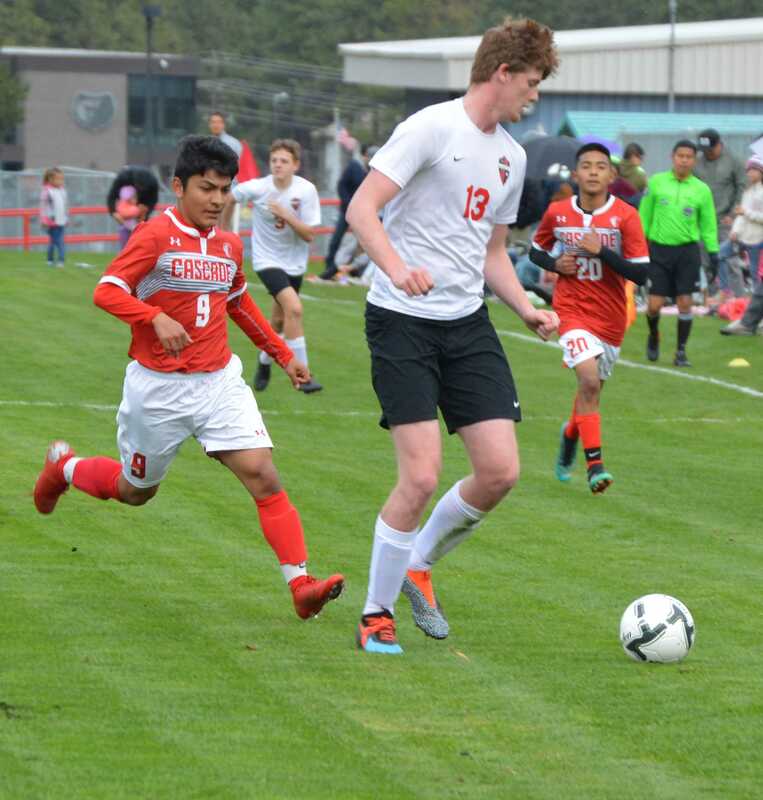 Cascade's Arturo Avila chases down an Omak defender. 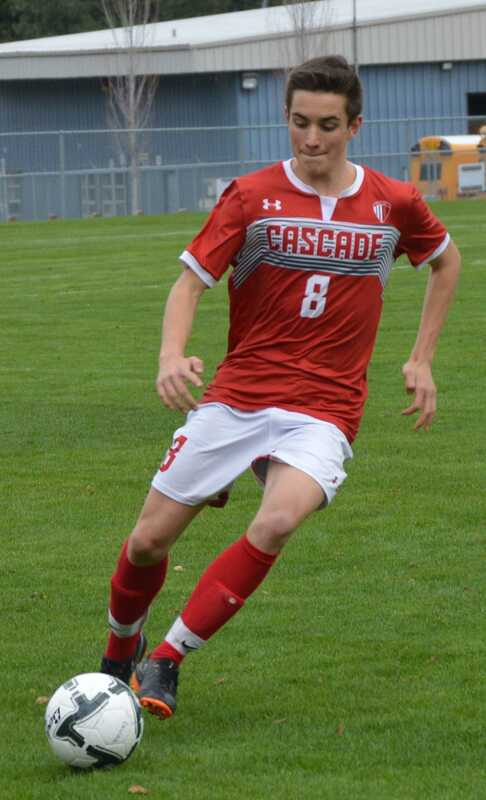 Avila had two goals during Cascade's match with Omak. 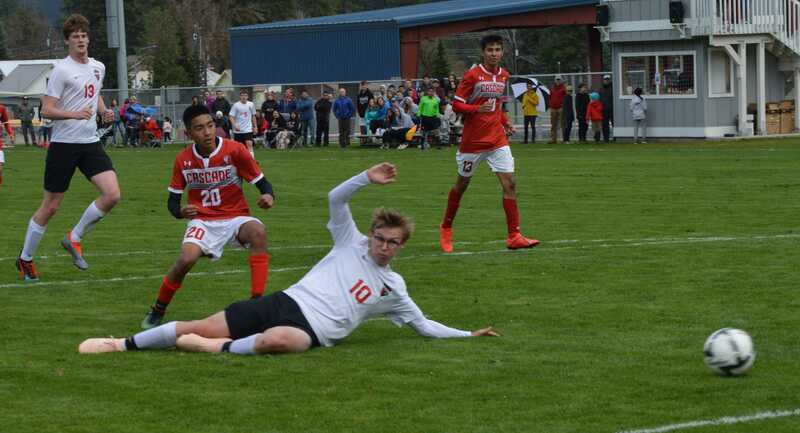 Arturo Avila watches the ball slide past an Omak defender. 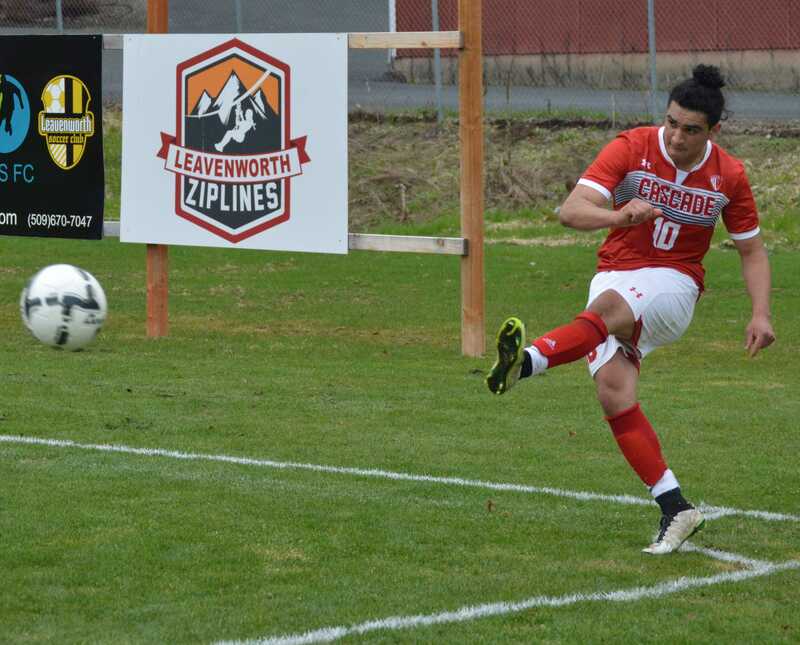 Cascade's Christian Tovar passes the ball to an open teammate. 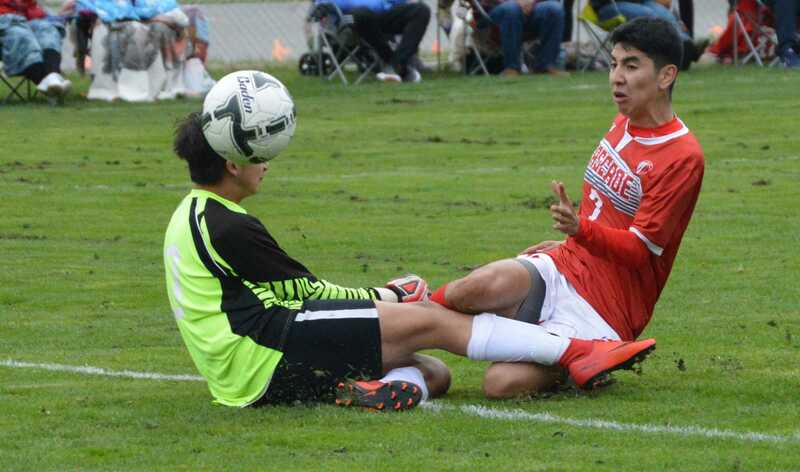 Cascade's Raul Mata watches the ball soar pasts the opposing goalkeeper on its way to the net. 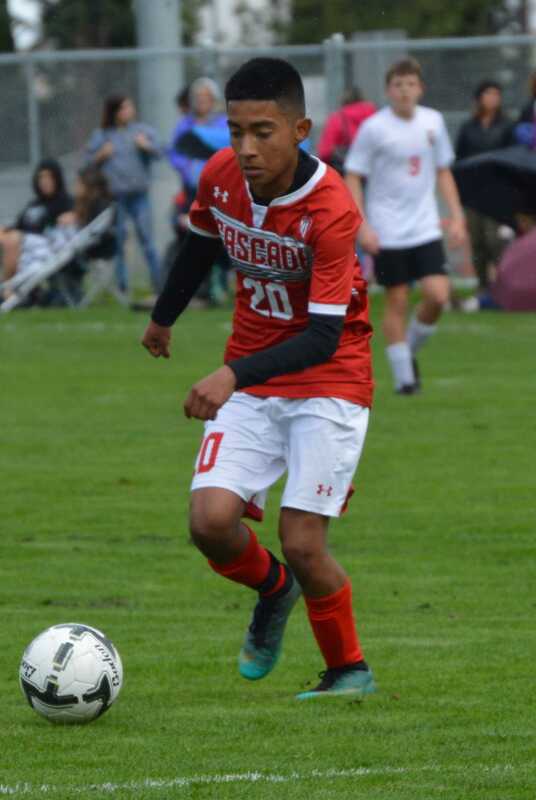 Jose Valdez scored Cascade's first goal of the second half. 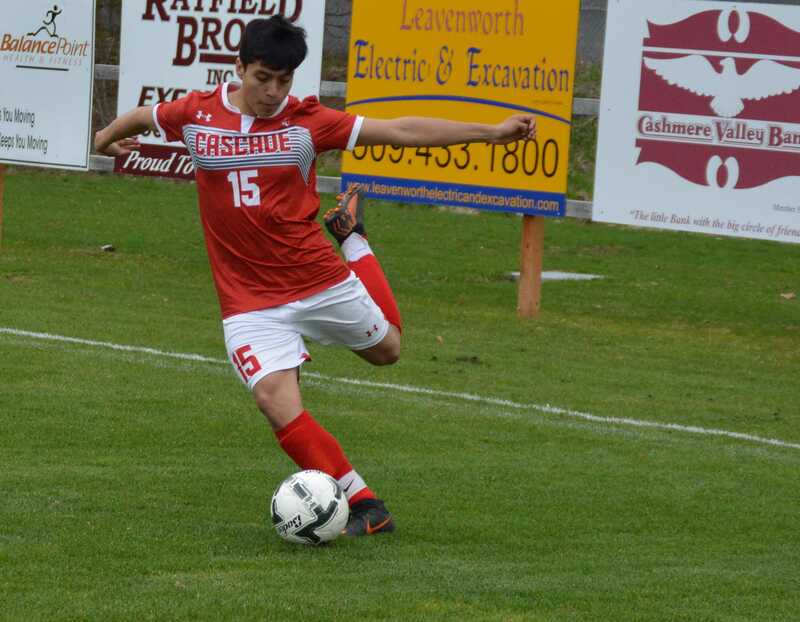 Cascade's Victor Oropeza kicks the ball to an open teammate. Cascade's Will Piers gets a foot on the ball.